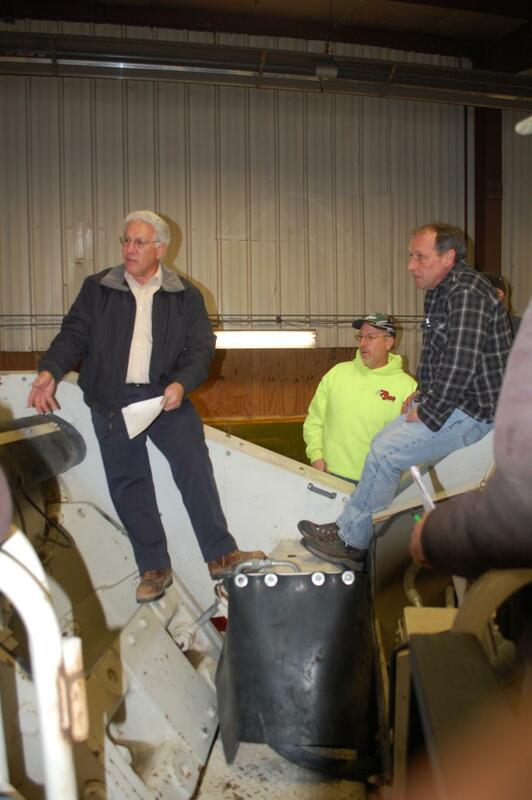 Mark Charbonneau (L), co-owner of Continental Paving, had a decades-long working relationship with Doug Baker. After 31 years with Whitney & Son, Doug Baker has announced his retirement. A family-owned aggregate equipment distributor headquartered in Fitchburg, Mass., that has been serving contractors and producers in New England since 1964, Doug Baker was one of the company's very first employees. “Doug Baker was our company's third hire when he joined our firm in 1985,” said Dan Whitney, the founder of Whitney & Son. “At the time it was my father's company so I was the first hire. In the 1970s, we were operating the company out of my home. Doug and I knew each other casually; his kids were the same age as my kids, were friends and we had actually gone to school together. “In the beginning, Doug was somewhat out of his comfort zone in a sales position but due to his unique mechanical skills and service background he very quickly became an excellent addition to Whitney & Son Inc. He soon realized that his unique skills would be the key to his sales success. According to Whitney, Baker had a “mechanical engineering” type of mind and very quickly understood the concepts and mechanics of how the machines worked. Dennis Demers, president of Shelburne Limestone Corp. in Shelburne, Vt., started working with Baker in the early 1980s, and was immediately impressed with his expertise. “Doug knows his products better than anyone. He would have the answers to any questions posed and on the slim chance that he did not know the answer to a question, he would quickly find it, and that answer would be very thorough; all i's dotted and all t's crossed. His knowledge was very broad. He had a good knowledge of all types of rock crushers, the various types of cones, various screening machines and screening techniques,” Demers said. Dayton Sand & Gravel in Dayton, Maine, is another long-time customer. “We have been doing business with Whitney and Son almost from the time they got started,” President Rusty Keene said. “We started working with Doug Baker in 1984. We use Whitney & Son equipment for much of our operation, including products from Metso, Deister and Superior. “I clearly remember the first time that I met Doug. We were having an issue with a piece of equipment. I told him where the piece in question was located and let him know that we were short of staff and were in a crisis mode and that we would not be able to send someone to help him for an hour or two. At the time I was sure that looking at the machine in question was definitely a two or three-man job. I went about my business and a few hours later Doug showed up at my door soaked in sweat to inform me that only had he identified the problem, but he had fixed it. I knew right then that this was not your typical sales person. “Doug is truly unique as an aggregate equipment sales person. He not only completely understands what a piece of equipment is supposed to do, but he can work on it too. Once the equipment is installed he can train our employees on how to operate it and he makes it a point to periodically check and to make sure everything is operating smoothly. 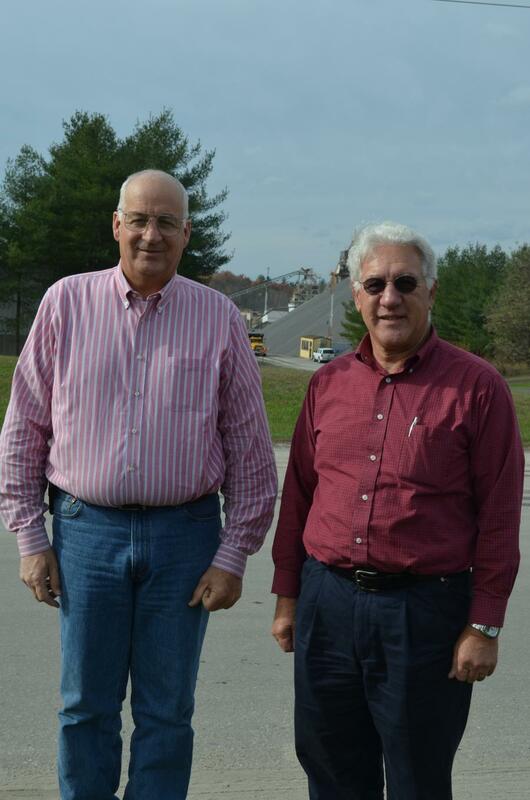 Brothers Rick and Mark Charbonneau, owners of Continental Paving, an asphalt and aggregate producer as well as construction firm located in New Hampshire, also spoke highly of Baker. Baker's territory was Maine, New Hampshire, and Vermont.